This piece has been a fan favorite for us and it is very versatile in where to place it and what occasion it is for. 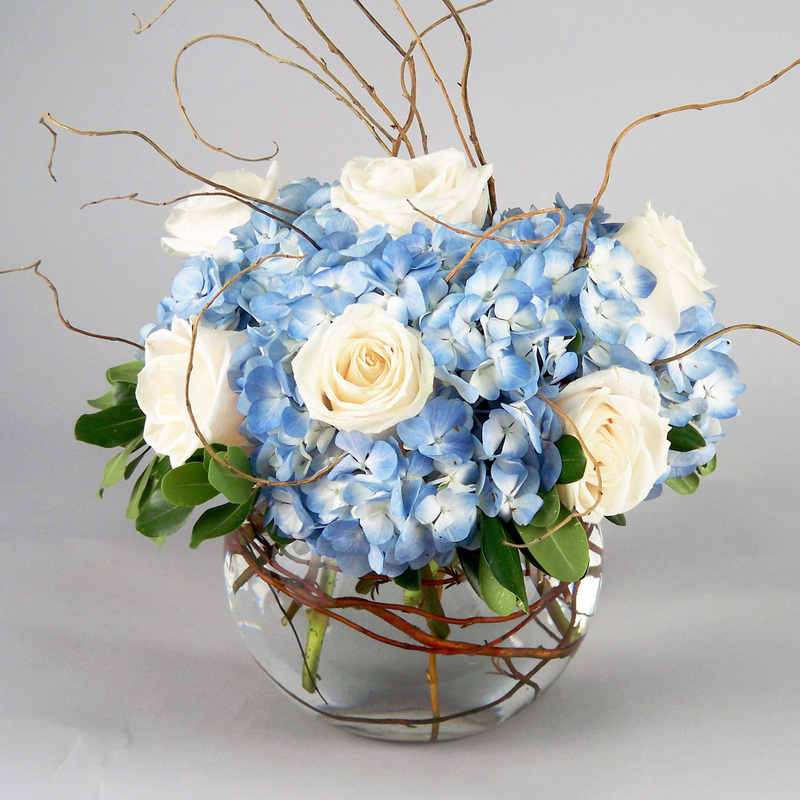 A simple combination of light blue hydrangea and an 8″ bubble bowl with half a dozen white roses and a bit of curly willow for show. Great as a gift or low enough to be used as a centerpiece. 12″ tall and 12″ wide. The willow will add some height but won’t impede on sight lines if used as a centerpiece.